I have listened to podcasts for a long time. It is the medium that I get most of my learning inspiration from. I have written about my enthusiasm for podcasts here and here. Equally as long I have wanted to start a podcast but have been too… (insert excuse here). At the end of last year, I decided to stop with the excuses and start with the doing. The podcasts that I enjoy the most tend to have great banter between two hosts or an interviewer and interviewee so I set out to find a co-host. Dean Pearman and I had been exchanging great professional banter for quite some time (most of it in GIF form!) and so I asked Dean if he would co-host a podcast all about education and technology called Design and Play. When Dean and I started recording the Design and Play podcast, we had no clue where to start. I had been collating articles and workflows that people had shared but we were total amateurs. From my reading and my experience working with media, I knew that having great audio was the key (D’uh!) but how do you achieve that when you physically aren’t in the same room. I hope this post sheds a little light on the workflow that we have developed to make Design and Play come to life. All of our planning is done in OneNote. We set out episode guides with information about who is doing what during the show (welcome, guest intro and outro, etc…), a list of key topics/questions that we wish to explore and a collection of resources and links to dive into as well as to share in the show notes. In our first few episodes, we were a little overzealous and tried to cram in too many topics but in the last few episodes, we have worked off two or three key areas and allowed time for the conversation to percolate. We constantly refer to this during the podcast recording but as you can hear during the show, we sometimes let the conversation go where it needs to go. We also have a permanent fortnightly booking in our calendars to record the podcast. We have found fortnightly to be a really manageable time to live our own lives, work, source guests, record, produce and then share the content socially. I would love to record every week but sustainability is a much more important focus for us at the moment. 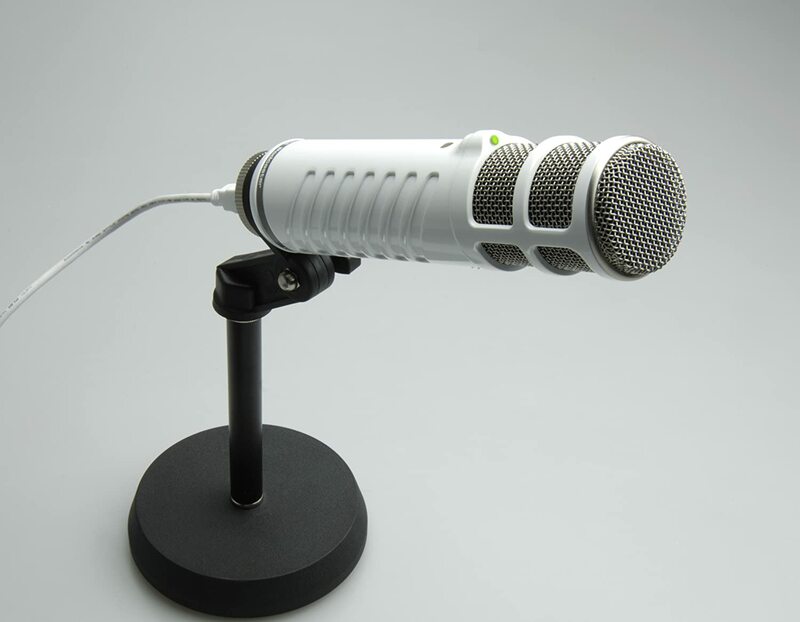 I use a Rode Podcaster mike as my microphone of choice. I borrowed this from the library at work and find the sound to be fantastic. It is a USB mike so works brilliantly for recording straight into my computer. Speaking to our AV guy at work on ways to improve sound and he gave me a windsock to stop the popping and limit the heavy breathing during the recording. I record straight into my MacBook Air and compile everything on Garageband. We originally used Garageband as the sole recording tool but found some limitations. Dean and I use Skype during the process to connect with each other and our guests. After the audio in our first episode wasn’t as rich as we would like (Dean was stuck in a well), we did some research and landed on a great tool called eCamm Recorder for Skype. When we start a Skype call, the eCamm recorder window pops up. With a little adjustment of the audio settings, we are set up and ready to go. The reason I like the eCamm recorder so much is that it saves all recordings in an easy to access archive but more importantly, it allows you to export the recording as separate tracks. I’ll touch on this a little more when I discuss post production. Dean and I both use bucket headphones to listen to each other. We also try to find quiet spaces to record although if you listen carefully to the recordings, this isn’t always achieved. We also record a back up track using Garageband of our own audio. This is to prevent crashing and the loss of lots of hard work. Dean, Terry and I in action on episode 4. Each of the spaces we make our podcast available have varying requirements to upload content. For iTunes, I simply followed the instructions found here and signed into PodcastsConnect. For every new episode, I simply refresh the RSS feed (there’s a link that I click in Podcasts Connect) and wait for an hour or so and the episode is live and available on iTunes. For Stitcher I had to sign up for an account which required a little waiting but it automatically updates now once the RSS feed is updated. SoundCloud is a little more manual and we are still operating with the free account, which unfortunately only has an hour upload limit. This means that old episodes are now not available. Podbean is fantastic because the analytics allow us to see where our listeners are from and how they are accessing our episodes. This really allows us to know where to target efforts to continue to promote the show. Once an episode is live, we promote it via Twitter and LinkedIn. We have a Design and Play Twitter handle and this allows us to keep the word spreading. The podcast is completely a love job. We love discussing topics of interest and have been overwhelmed with the response from people. We are still very much amateurs and I hope this workflow motivates you to get that podcast you’ve always wanted to start off the ground. Happy to connect and share to talk through any details.